Grainne completed her undergraduate studies at Hull University. She subsequently attended the Institute of Professional Legal Studies at Queen’s University, Belfast and qualified as a solicitor in 1993. 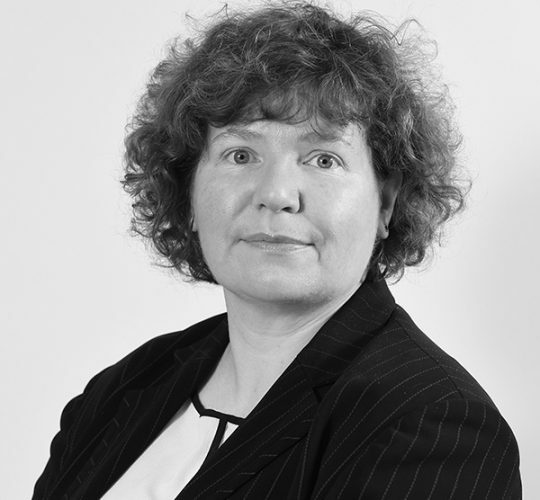 Grainne joined Falls and Hanna Solicitors in 2003 and since then has developed a substantial family and matrimonial practice. Grainne is accredited to work on the Northern Ireland Guardian Ad Litem Agency panel. She is also a member of the Law Society Children Order Panel. Grainne’s practice also extends to representing clients in criminal law proceedings in both the Magistrate’s Court and the Crown Court. Grainne is based in the Enniskillen office but is available in our Fivemiletown office by prior appointment.